Cliche comment about how fast last month went, how it's nearly the end of the year, nearly Christmas, etc etc. On with the important stuff: my October favourites. 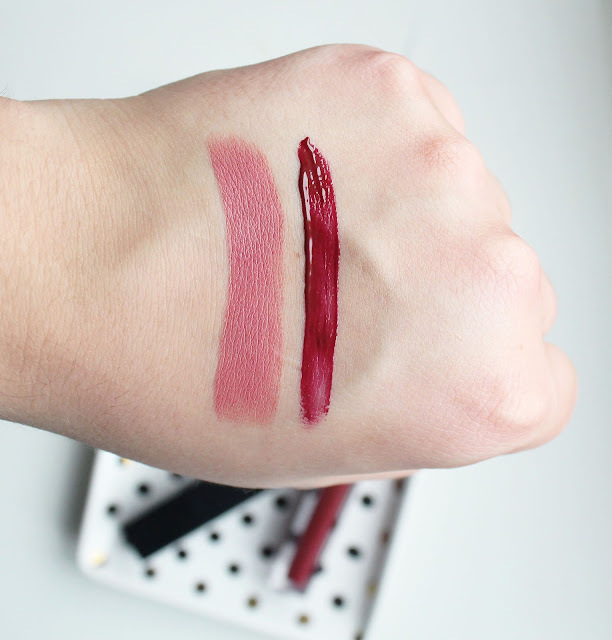 Nars recently released 5 new shades of their Audacious lipsticks, of which I purchased Apoline. I actually didn't buy it straight away like I usually do new releases, but I'm really glad I finally did! It's such a pretty shade. Another Nars lip product, sorry not sorry. I swatched the handful of shades I picked up over in this post, and the one that emerged as my favourite is Deviant. I don't usually suit rich berry or plum colours but this one is really complimentary to my skin tone. I'm really happy with it, and the texture is absolutely gorgeous. It's in a totally different league to every other liquid lippy on the market. It had the consistency of a lip gloss, feels like a lipstick and has the pigmentation of a liquid lipstick. I love it. I was very, very fortunate to win this in a competition by Debenhams Beauty Club! I have been using it literally every single day since I received it. It is a definite staple in my makeup collection, I don't think I could go without it now! It has everything you need, and contains a number of looks within the palette, but it's also perfect for creating a base to build shadows up on. I think everybody needs this in their makeup arsenal. First of all, thank you 10000 times to my cousin Alice who bought this for me for my birthday! She's doing a semester abroad in the US, and she got it for me from Sephora. She's super so please give her a follow on Instagram! 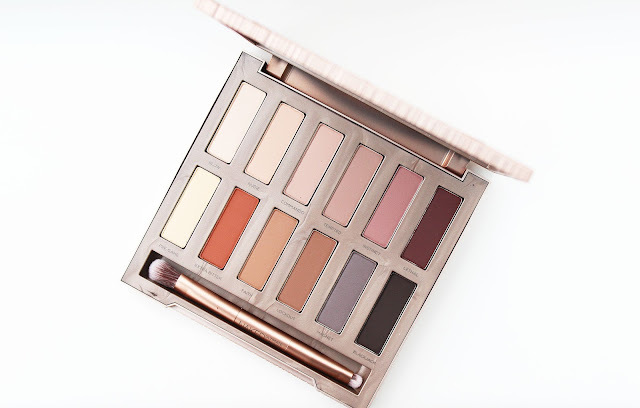 This palette is SO worth the hype surrounding it, the powders are so pigmented and buttery! Even though they're powders, the texture is honestly comparable to a cream. Yep, another palette! The latest edition to Charlotte Tilbury's eyeshadow quad squad (...I think I'm hilarious...) is beyond gorgeous. A beautiful set of shimmers, the shades are very Christmas appropriate. I think I'm going to be getting a heck of a lot of wear out of it in the next couple of months! They're ultra pigmented and there really is no getting away from the fact the colours are stunning. I have been using this nearly every day, it is very creamy and "naturally radiant" so is very apt for this time of year when the weather might be drying your skin out a bit. It has great coverage, as well. I bought this product back in my Autumn haul, and I have literally used it every single day; no exaggeration! It is such a beautiful blush! Even though the bright shade of pink may look a little intimidating, it is very flattering and natural looking. Hourglass blushes have an almost light reflecting quality about them, they illuminate the cheeks and give you a natural radiance. Diffused Heat especially. Thank you for reading! 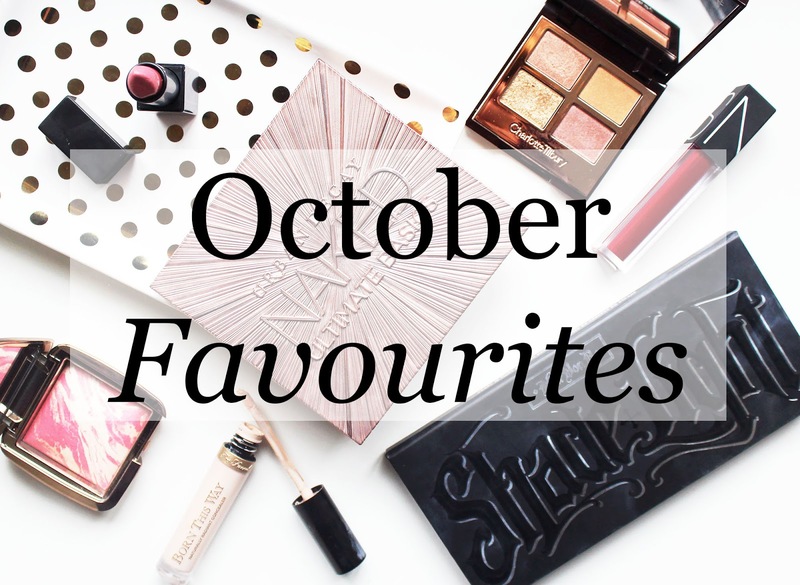 Let me know what products you were loving through October. oh my gosh, that NARS lipstick is gorgeous!